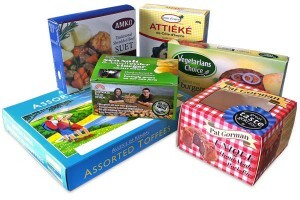 Packaging technologies continue to evolve through the 21st century, making product packaging so much more than cardboard and plastic. These innovations are designed to attract customers and create added value to a part of the product conventionally viewed as disposable. Customers already expect their favorite food and beverage products to be packaged and transported in a way that protects the integrity and quality of the products. Now Inductive Intelligence LLC is taking consumer satisfaction one step further by offering a brand new technology that makes it possible to heat containers on-the-go. These induction-heated-anywhere contains blend food and beverage packaging with wireless charging, software, tags, and sensors. It’s the latest innovation in a market focused on consumer satisfaction. This new technology capitalizes on two major current trends: single-serve packaging and the Apple Qi wireless charging device. By intersecting these two trends, companies can deliver a consumer experience that’s convenient, consistent, safe, and sustainable. Greg Clark, the co-founder and CEO of Inductive Intelligence LLC, explains, “We’re creating entirely new consumption occasions for consumers and brands.” It is his company’s goal to provide total convenience and make small tasks easier. This heating technology uses data and metal. Data is expressed in radio-frequency identification (RFID) or Near Field Communication (NFC) tags that communicate with the wireless charging device to express exactly how to heat the product. At the same time, the package itself tells the device how well it is heating. This works for cans, flexible foil packages, paper, plastic, and glass. Venting is flexible based on the product, with some items like pasta or veggies needing more venting than other items. This “set it and forget it” heating method takes the guesswork and time out of heating pre-packaged items. It’s more exact and ensures that products are heated to the specific recommendations of the manufacturer. To learn more about today’s innovative technology and secure the best packaging for your company’s products, call (781) 986-7500 to speak to an expert at Econocorp.